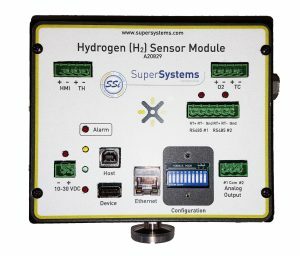 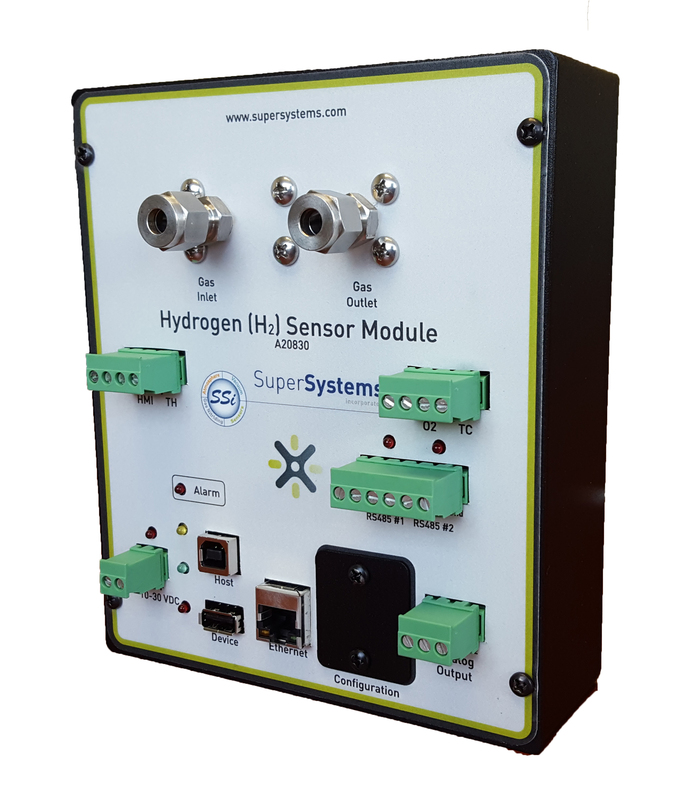 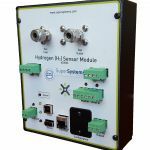 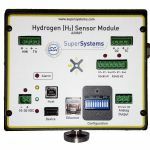 The H2/O2 sensors provide a measurement of hydrogen gas percentage in a sampled gas while allowing for an external oxygen input. 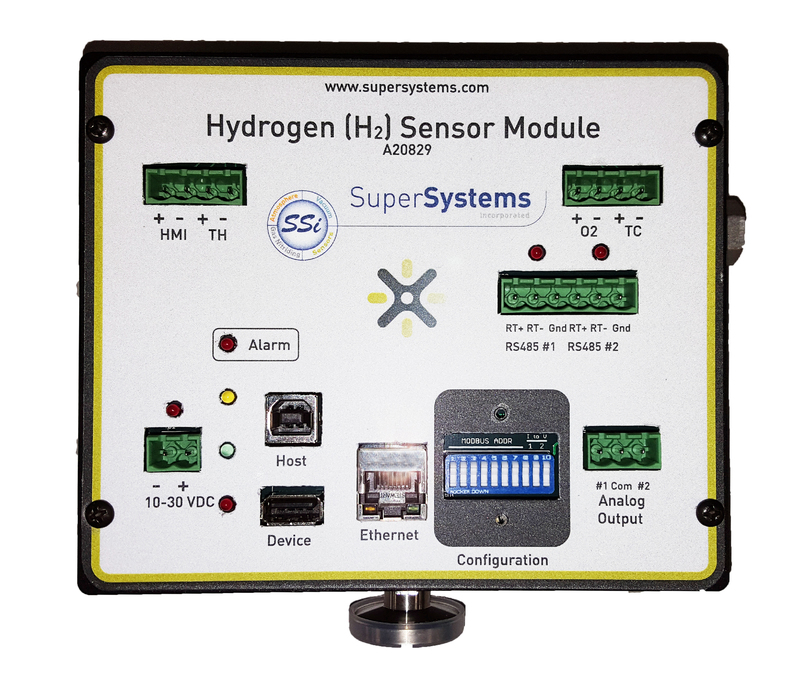 The in-situ hydrogen sensor (right) is typically mounted directly to the top of a furnace and does not require any additional sample lines or pumps to operate. 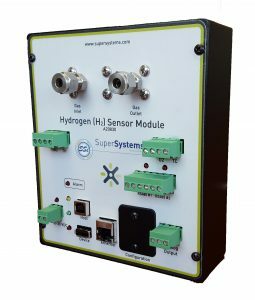 The flow-through hydrogen sensor (left) contains an inlet and outlet and mounts on DIN rail.